Tarpon are one of Tampa Bay’s most popular species to fish for, and for good reason Tampa Bay is one of the world best Tarpon fisheries. Tarpon live in Tampa Bay year round from small juveniles to full grown mature fish. Most of the Tarpon caught in the Tampa Bay area range from 50 to 200 pounds. 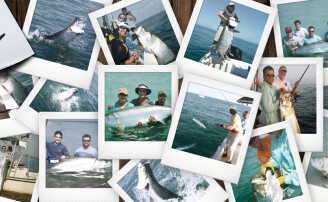 Tampa Bay Tarpon fishing is world renowned for its giant Tarpon that can reach 250 pounds and measure 8 ft. long. 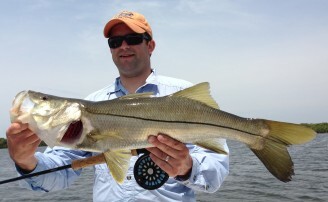 Though they can be caught year round, they are much easier to catch with regularity during the warmer months. March and April are good for catching the Bay area’s resident Tarpon. May through July marks the peak migration period when Tarpon flood the Bay from all around the Gulf. It is the very best time to target Tampa Bay Tarpon. August through October is also good for resident Tarpon, holdovers from the migration and migrating fish heading south for the winter. 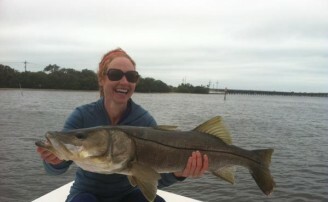 November through February is generally the slowest time for Tarpon in Tampa Bay. They can still be caught around Bay area structures and bridges as well as power plants during the coldest periods.